I’ve recently decided to embark on a low-carb diet. I am the very definition of a “carbaholic” and that just isn’t ok. 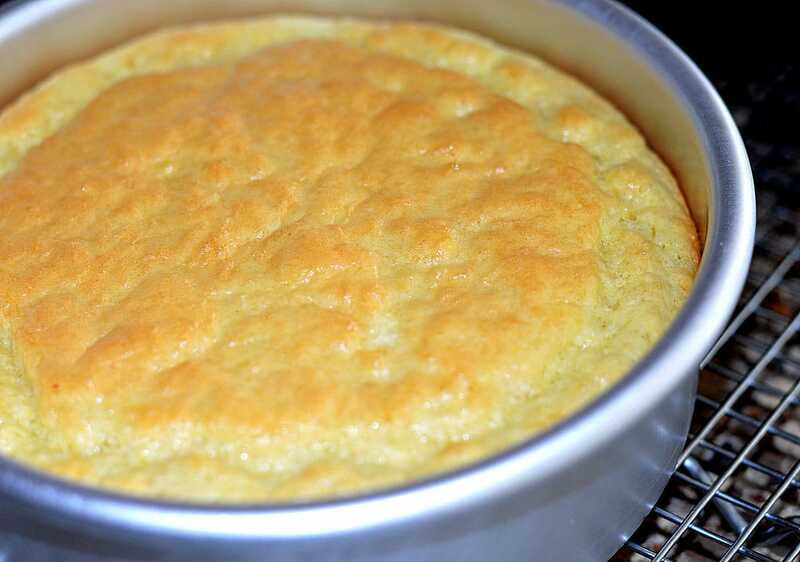 So it’s time to make some much needed changes and since bread is, and always will be, my downfall…I started experimenting with low-carb baking. Keto, short for the Ketogenic Diet, is not dissimilar to the Atkins Diet. While I may never get that extreme, I can’t find any reason not to attempt to minimize the carbs in my life. 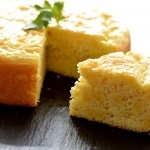 What it is: Light, fluffy (think cornbread), egg-y, slice-able, toast-able and pretty darn delicious! 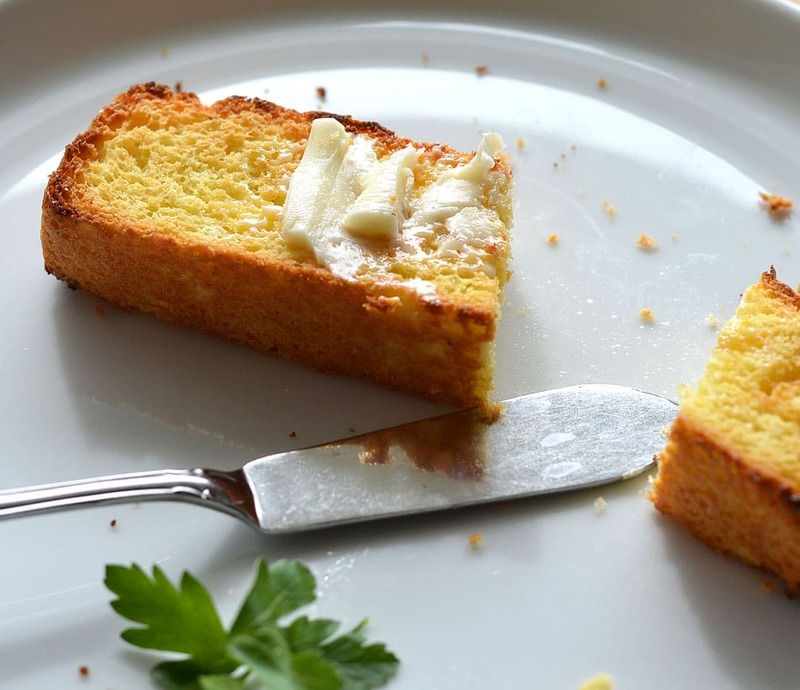 It’s mild in flavor, but would do wonderful with added flavorings and/or an herb butter. What it isn’t: If you were hoping for some thick, crusty loaf… well, I haven’t mastered that exactly. BUT, if you are like me and counting carbs, this one clocks in at under 2 grams per slice. I made a round loaf, but this would make 12 slices from a standard loaf pan. I decided to pretend I was in America’s Test Kitchen and toasted a slice. Yep, that worked! When toasted, you really get that nutty aroma from the almond flour. But flavor-wise, there is no almond taste. Again, flavored butter would be fabulous here. 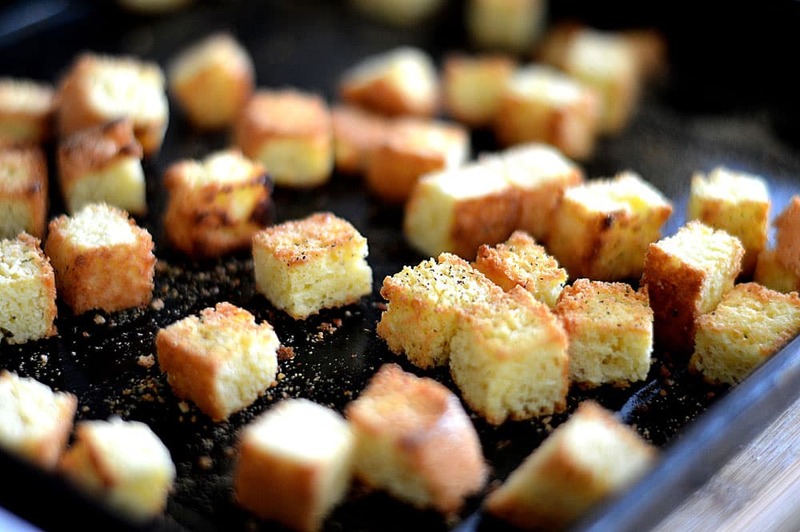 Next, I decided to cube up some of the bread and lightly toss it with oil and herbs to make some croutons. This also worked perfectly! I’ll be enjoying these on my salad tonight. However, I started thinking about stuffing. Mmmmm, stuffing. Am I right? Also, let me insert a quick cook’s note here: I would treat these like any other bread cubed stuffing and either air dry them or oven dry them before toasting to remove any excess moisture. This will ensure the crispiness we are looking for. Really nice texture. Lastly, I decided to give the remaining bread a whiz in the food processor to make crumbs. See cooks note above. I pan toasted these, but they would have been crispier if they had been allowed to air or oven dry first. 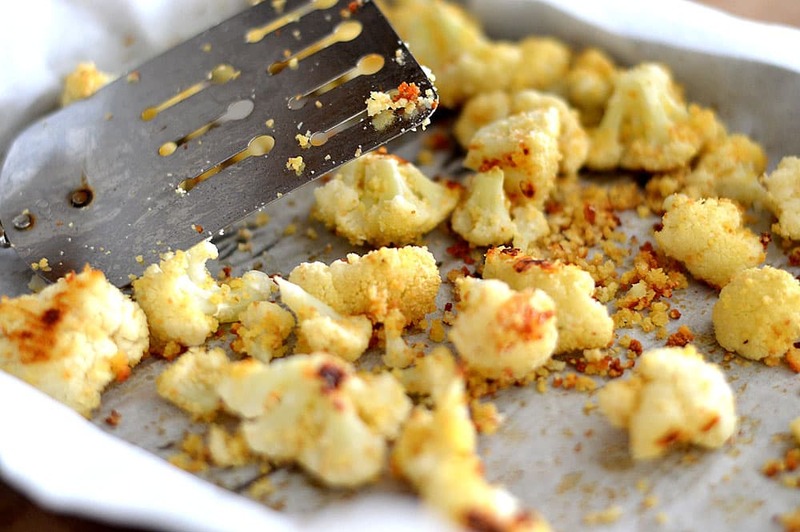 I used these dried crumbs in an upcoming recipe for breaded cauliflower and as you can see, also a winner. I lightly coated the cauliflower with a mixture of almond milk and almond flour (in keeping with the low-carb theme) before tossing with the crumbs. A heavier coating could be easily achieved, if desired. All in all, I could find nothing to dislike about this recipe! It was a winner for me all the way around. So now this has me on a mission (as mentioned above) to create a vegan low-carb bread. The creative wheels in my head are already spinning. But I will definitely be making this one again. 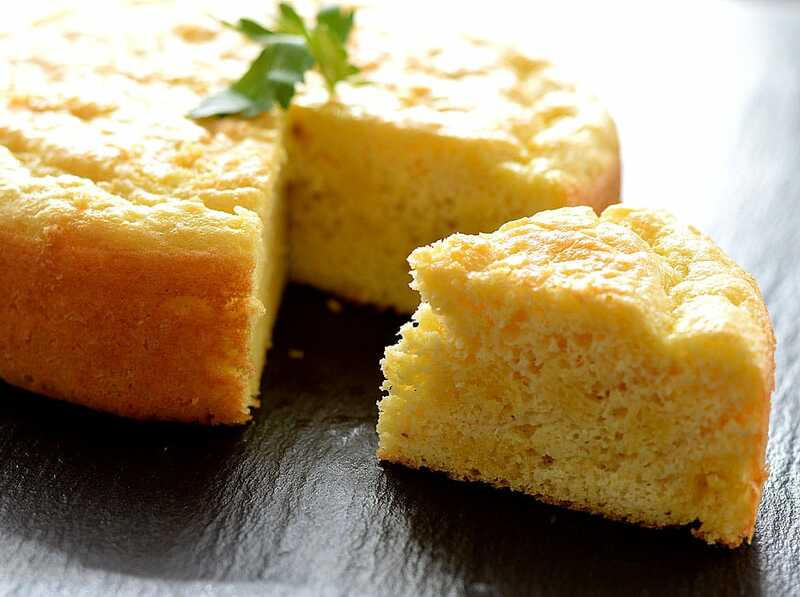 Did you make this recipe for Best Ever Keto Low Carb Bread? If so, leave a comment below and let me know what you thought. Serving size is one slice, or 1/12 of a standard loaf pan. 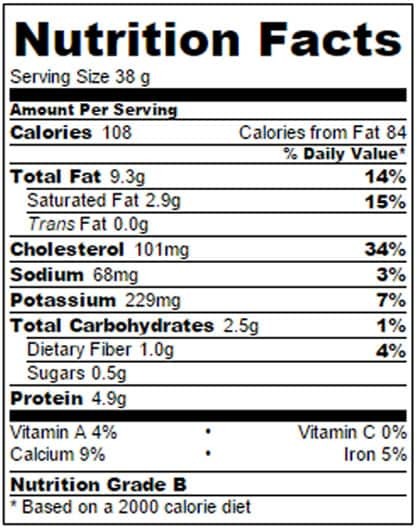 Remember we are looking for net carbs, so that’s total carbs less dietary fiber. Separate the egg whites from the yolks and beat with the cream of tartar until soft peaks have formed. 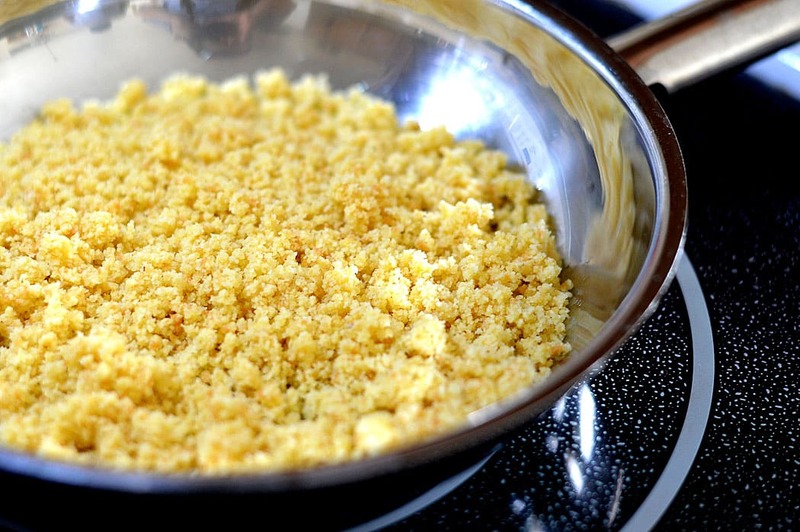 Meanwhile, in a food processor, combine the almond flour, egg yolks, baking powder, melted butter, salt and herbs, if desired. Add 1/3 of the egg whites to the processor. I like to mix the remaining 2/3 egg whites by hand so as not to deflate them too much, but you can incorporate briefly in the processor. Pour into a prepare loaf pan and bake for 30 minutes or until a toothpick inserted comes clean. It should be golden brown. Let cool for a few minutes before removing to a rack to cool completely. Or enjoy warm with some butter. Allergic to almonds (and gluten) and eggs. Oh well. Guess this isn’t the website for me. I am a little confused regarding the eggs, do you separate them and then use the yokes in the bread mixture of are the yokes totally disregarded???? I ask because your recipe says 6 large eggs and not 6 large egg whites. It’s tasty as it looks. I have just put my bread in the oven. Say prayers. That bread looks so delicious! I love bread so I will be sure to make this recipe. Still working on the vegan version? Tried many things. But vegan and keto just wont work out regarding bread. Either it tastes bad or the consistency is bad. Hope you have better results than me.